Досліджується кореляція показника кольору центральних галактик (Mr < -20.7) і їхніх слабких сусідів (Mr ≥ -20.7) із вибірки 60 561 галактик огляду SDSS DR9, обмеженої по червоному зміщенню та абсолютній зоряній величині значеннями 0.02 < z ≥ 0.06 і -24m < Mr < -19.4m. Для визначення морфологічного типу галактик застосовувався метод машинного навчання «випадковий ліс». Статистично суттєва кореляція виявлена тільки для пар «центральна — найближча сусідка», у яких відстань між компонентами менша ніж 100 кпк, а кожний із компонентів є галактикою раннього типу. Отримані результати свідчать на користь ієрархічного сценарію еволюції галактик. 1. Acero F., Ackermann M., Ajello M., et al. VizieR online data catalog: Fermi LAT third source catalog (3FGL) (Acero+, 2015). VizieR Online Data Catalog 2015. 221. 2. Allam S. S., Tucker D. L., Smith J. A., et al. Merging galaxies in the Sloan Digital Sky Survey early data release. Astron. J. 2004. 127. P. 1883—1899. 3. Baldry I. K., Glazebrook K., Brinkmann J., et al. Quantifying the bimodal color-magnitude distribution of galaxies. Astrophys. J. 2004. 600. P. 681—694. 4. Bamford S. P., Nichol R. C., Baldry I. K., et al. Galaxy Zoo: the dependence of morphology and colour on environment. Mon. Notic. Roy. Astron. Soc. 2009. 393. P. 1324—1352. 5. Bekki K., Shioya Y. Dynamics of galaxy merging and the origin of the color-magnitude relation of elliptical galaxies. Astrophys. J. 1997. 486. P. 197—200. 6. Bell E. F., Wolf C., Meisenheimer K., et al. Nearly 5000 distant early-type galaxies in COMBO-17: a red sequence and its evolution since z ~ 1. Astrophys. J. 2004. 608. P. 752—767. 7. Blanton M. R., Eisenstein D., Hogg D. W., Schlegel D. J., Brinkmann J. Relationship between environment and the broadband optical properties of galaxies in the Sloan Digital Sky Survey. Astrophys. J. 2005. 629. P. 143—157. 8. Bundy K., Ellis R. S., Conselice C. J., et al. The mass assembly history of field galaxies: detection of an evolving mass limit for star-forming galaxies. Astrophys. J. 2006. 651. P. 120—141. 9. Chabrier G. Galactic stellar and substellar initial mass function. Publs Astron. Soc. Pacif. 2003. 115. P. 763—795. 10. Chilingarian I. V., Melchior A.-L., Zolotukhin I. Y. Anatytical approxnnations of K-corrections in optical and near-infrared bands. Mon. Notic. Roy. Astron. Soc. 2010. 405. P. 1409—1420. 11. Chilingarian I. V., Zolotukhin I. Y. A universal ultraviolet-optical colour-colour-magnitude relation of galaxies. Mon. Notic. Roy. Astron. Soc. 2012. 419.P. 1727—1739. 12. Chuter R. W., Almaini O., Hartley W. G., et al. Galaxy environments in the UKIDSS ultra deep survey. Mon. Notic. Roy. Astron. Soc. 2011. 413. P. 1678—1686. 13. Cucciati O., Iovino A., Marinoni C., et al. The VIMOS VLT deep survey: the build-up of the colour-density relation. Astron. and Astrophys. 2006. 458. P. 39—52. 14. Deng X.-F., Xin Y., Peng J., Wu P. Dependence of the holmberg effect on separations between paired galaxies. Astrophys. 2010. 53. P. 342—350. 16. Dobrycheva D. V., Melnyk O. V., Vavilova I. B., Elyiv A. A. Environmental density vs. colour indices of the low redshifts galaxies. Astrophys. 2015. 58. P. 168—180. 17. Dobrycheva D. V., Vavilova I. B. No the Holmberg effect for galaxy pairs selected from the SDSS DR9 at z &lte; 0.06. Odessa Astron. Publs. 2016. 29. P. 37—41. 18. Dobrycheva D. V., Vavilova I. B., Melnyk O. V., Elyiv A. A. Machine learning technique for morphological classification of galaxies at z &lte; 0.1 from the SDSS. 2017. arXiv:1712.08955 [astro-ph.GA]. 19. Dressler A. Galaxy morphology in rich clusters - Implications for the formation and evolution of galaxies. Astrophys. J. 1980. 236. P. 351—365. 20. Dressler A., Oemler A., Jr., Couch W. J., et al. Evolution since z = 0.5 of the morphology-density relation for clusters of galaxies. Astrophys. J. 1997. 490. P. 577—591. 21. Elyiv A., Melnyk O., Vavilova I. High-order 3D Voronoi tessellation for identifying isotated galaxtes, pairs and triptets. Mon. Notic. Roy. Astron. Soc. 2009. 394. P. 1409—1418. 22. Franco-Balderas A., Hernández-Totedo H. M., Dultzin-Hacyan D., Garcia-Ruiz G. BVRI surface photometry of mixed morphology pairs of galaxies. I. The first data set. Astron. and Astrophys. 2003. 406. P. 415—426. 23. Gonzalez A., Zabludoff A., Zaritsky D. Extendmg the fundamental plane usmg intracluster light. NOAO Proposal 2003. 24. Gunn J. E., Carr M., Rockosi C., et al. The Sloan Digital Sky Survey photometric camera. Astron. J. 1998. 116. P. 3040—3081. 25. Hartley W. G., Conselice C. J., Mortlock A., Foucaud S., Simpson C. Galactic conformity and central/satellite quenching, from the satellite profiles of M* galaxies at 0.4 Mon. Notic. Roy. Astron. Soc. 2015. 451. P. 1613—1636. 26. Hogg D. W., Blanton M. R., Brinchmann J., et al. The dependence on environment of the color-magnitude relation of galaxies. Astrophys. J. 2004. 601. P. L29—L32. 27. Icke V., van de Weygaert R. The galaxy distribution as a Voronoi foam. Quart. J. Roy. Astron. Soc. 1991. 32. P. 85—112. 28. Karachentsev I. D. Dvojnye galaktiki (Double galaxies). 1987. Nauka, Moskva, USSR. 248 p.
29. Karachentseva V. E., Karachentsev I. D., Melnyk O. V. Faint companions of isolated 2MIG galaxies. Astrophys. Bull. 2011. 66. P. 389—406. 30. Karachentseva V. E., Mel’nik O. V., Vavilova I. B., Makarov D. I. Triplets of galaxies in the local supercluster. 2. Virial and total masses. Kinematics and Phys. Celest. Bodies. 2005. 21, N 3. P. 150—159. 31. Karachentseva V. E., Vavilova I. B. Clustering of low surface brightness dwarf galaxies. I. General properties. Bull. Special Astrophys. Observ. 1994. 37. P. 98—118. 32. Karachentseva V. E., Vavilova I. B. Clustertng of dwarf galaxtes with low surface brightness. II. The Virgo cluster. Kinematics and Phys. Celest. Bodies. 1995. 11. P. 38—48. 33. Karachentseva V. E., Vavilova I. B. Clustering of dwarf galaxies with low surface brightness. III. The Fornax cluster. Kinematics and Phys. Celest. Bodies. 1995. 11. P. 49—56. 34. Kauffmann G., White S. D. M., Heckman T. M., et al. The environmental dependence of the relations between stellar mass, structure, star formation and nuclear activity in galaxies. Mon. Notic. Roy. Astron. Soc. 2004. 353. P. 713—731. 35. Kovač K., Lilly S. J., Knobel C., et al. The 10k zCOSMOS: Morphological Transformation of Galaxies in the Group Environment Since z ~ 1. Astrophys. J. 2010. 718. P. 86—104. 36. Kovač K., Lilly S. J., Knobel C., et al. zCOSMOS 20k: satellite galaxies are the main drivers of environmental effects in the galaxy population at least to z ~ 0.7. Mon. Notic. Roy. Astron. Soc. 2014. 438. P. 717—738. 37. Kreckel K., Platen E., Aragón-Calvo M. A., et al. The void galaxy survey: optical properties and H I morphology and kinematics. Astron. J. 2012. 144., 16. 38. Krywult J., Tasca L. A. M., Pollo A., et al. The VIMOS public extragalactic redshift survey (VIPERS). The coevolution of galaxy morphology and colour to z ~ 1. Astron. and Astrophys. 2017. 598., A120. 39. Lee J. C., Gil de Paz A., Kennicutt R. C., Jr., et al. A GALEX ultraviolet imaging survey of galaxies in the local volume. Astrophys. J. Suppl. Ser. 2011. 192., 6. 40. Lin L., Patton D. R., Koo D. C., et al. The redshift evolution of wet, dry, and mixed galaxy mergers from close galaxy pairs in the DEEP2 galaxy redshift survey. Astrophys. J. 2008. 681. P. 232—243. 41. Makarov D., Prugniel P., Terekhova N., Courtois H., Vauglin I. HyperLEDA. III. The catalogue of extragalactic distances. Astron. and Astrophys. 2014. 570., A13. 42. Mel’nik O. V. Interacting galaxies in sparsely populated groups. Astron. Lett. 2006. 32. P. 302—307. 43. Melnyk O., Karachentseva V., Karachentsev I. Star formation rates in isolated galaxies selected from the Two-Micron All-Sky Survey. Mon. Notic. Roy. Astron. Soc. 2015. 451. P. 1482—1495. 44. Melnyk O., Mitronova S., Karachentseva V. Colours of isolated galaxies selected from the Two-Micron All-Sky Survey. Mon. Notic. Roy. Astron. Soc. 2014. 438. P. 548—556. 45. Melnyk O. V., Dobrycheva D. V., Vavilova I. B. Morphology and color indices of galaxies in Pairs: Criteria for the classification of galaxies. Astrophys. 2012. 55. P. 293—305. 46. Melnyk O. V., Elyiv A. A., Vavilova I. B. Structure of the Local Supercluster of Galaxies Revealed by 3D Voronoi tessellation method. Kinematics and Phys. Celest. Bodies. 2006. 22, N 4. P. 211—220. 47. Melnyk O. V., Vavilova I. B. Galaxy triplets of the local supercluster. 3. Configuration properties. Kinematics and Phys. Celest. Bodies. 2006. 22, N 6. P. 422—431. 48. Mickaelian A. M. Astronomical Surveys and Big Data. arXiv:1511.07322. 2015. P. 304—310. 49. Mignoli M., Zamorani G., Scodeggio M., et al. The zCOSMOS redshift survey: the three-dimensional classification cube and bimodality in galaxy physical properties. Astron. and Astrophys. 2009. 493. P. 39—49. 50. Pulatova N. G., Vavilova I. B., Sawangwit U., Babyk I., Klimanov S. The 2MIG isolated AGNs - I. General and multiwavelength properties of AGNs and host galaxies in the northern sky. Mon. Notic. Roy. Astron. Soc. 2015. 447. P. 2209—2223. 51. Schawinski K., Urry C. M., Simmons B. D., et al. The green valley is a red herring: Galaxy Zoo reveals two evolutionary pathways towards quenching of star formation in early- and late-type galaxies. Mon. Notic. Roy. Astron. Soc. 2014. 440. P. 889—907. 52. Schlegel D. J., Finkbeiner D. P., Davis M. Maps of dust infrared emission for use in estimation of reddening and cosmic microwave background radiation foregrounds. Astrophys. J. 1998. 500. P. 525—553. 53. Scoville N., Abraham R. G., Aussel H., et al. COSMOS: Hubble Space Telescope observations. Astrophys. J.Suppl. Ser. 2007. 172. P. 38—45. 54. Skibba R. A., Bamford S. P., Nichol R. C., et al. Galaxy Zoo: disentangling the environmental dependence of morphology and colour. Mon. Notic. Roy. Astron. Soc. 2009. 399. P. 966—982. 55. Strateva I., Ivezić Ž., Knapp G. R., et al. Color separation of galaxy types in the Sloan Digital Sky Survey Imaging Data. Astron. J. 2001. 122. P. 1861—1874. 56. Tal T., Dekel A., Oesch P., et al. Observations of environmental quenching in groups in the 11 GYR since z = 2.5: Different quenching for central and sateliite galaxies. Astrophys. J. 2014. 789. 164. 57. Thilker D. A., Bianchi L., Schiminovich D., et al. NGC 404: a rejuvenated lenticular galaxy on a merger-induced, blueward excursion into the green valley. Astrophys. J. 2010. 714. P. L171—L175. 58. Thomas D., Maraston C., Bender R., Mendes de Oliveira C. The epochs of early-type galaxy formation as a function of environment. Astrophys. J. 2005. 621. P. 673-694. 59. Tinker J. L., Leauthaud A., Bundy K., et al. Evolution of the stellar-to-dark matter relation: separating star-forming and passive galaxies from z =1 to 0. Astrophys. J. 2013. 778. 93. 60. Trujillo I., Aguerri J. A. L. Quantitative morphological analysis of the Hubble Deep Field North and Hubble Deep Field South - I. Early- and late-type luminosity-size relations of galaxies out to z ~ 1. Mon. Notic. Roy. Astron. Soc. 2004. 355. P. 82—96. 61. van den Bosch F. C., Aquino D., Yang X., et al. The importance of satellite quenching for the build-up of the red sequence of present-day galaxies. Mon. Notic. Roy. Astron. Soc. 2008. 387. P. 79—91. 62. Vavilova I., Melnyk O. Voronoi tessellation for galaxy distribution. Mathematics and its Applications. 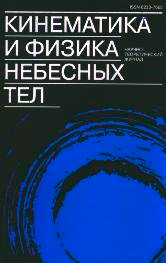 Proceedings of the Institute of Mathematics of the NAS of Ukraine, vol. 55 (2005), Kyiv, Ukraine. In: Voronoi’s Impact on Modern Science. Book 3. Proceedings of the Third Voronoi Conference on Analytic Number Theory and Spatial Tessellations. Eds H. Syta, A. Yurachkivsky, P. Engel, 2005. 55. P. 203—212. 63. Vavilova I. B., Melnyk O. V., Elyiv A. A. Morphological properties of isolated galaxies vs. isolation criteria. Astron. Nachr. 2009. 330. P. 1004. 64. Voges W., Aschenbach B., Boller T., et al. VizieR Oniine Data Cataiog: ROSAT All-Sky Survey Faint Source Cataiog (Voges+2000). VizieR Online Data Catalog 2000. 9029. 65. Wetzel A. R., Tinker J. L., Conroy C., van den Bosch F. C. Galaxy evolution near groups and clusters: ejected satellites and the spatial extent of environmental quenching. Mon. Notic. Roy. Astron. Soc. 2014. 439. P. 2687—2700. 66. Wright E. L., Eisenhardt P. R. M., Mainzer A. K., et al. The Wide-field Infrared Survey Explorer (WISE): Mission description and initial on-orbit performance. Astron. J. 2010. 140. P. 1868—1881. 67. York D. G., Adelman J., Anderson J. E., Jr., et al. The Sloan Digital Sky Survey: Technical summary. Astron. J. 2000. 120. P. 1579—1587. 68. Zaninetti L. Dynamical Voronoi tessellation. II - The three-dimensional case. Astron. and Astrophys. 1990. 233. P. 293—300.